Hardware storage devices are not permanent solutions because, unfortunately, every physical storage drive is susceptible to mechanical failures and malfunctions. Even then, it is possible to increase your chances of never experiencing important data loss through flash drive failure by keeping the following tips in mind. A lot of consumers do not understand that there are differences in the quality and feature sets of flash drives that go beyond their storage capacity. If you want a flash drive that won’t quit on you anytime soon, you will need to acquaint yourself with the basics and invest a bit in your hardware storage. For example, there are encrypted flash USB drives that provide maximum protection for carrying around sensitive data, and they are much more resistant to data loss through mechanical failures as well. 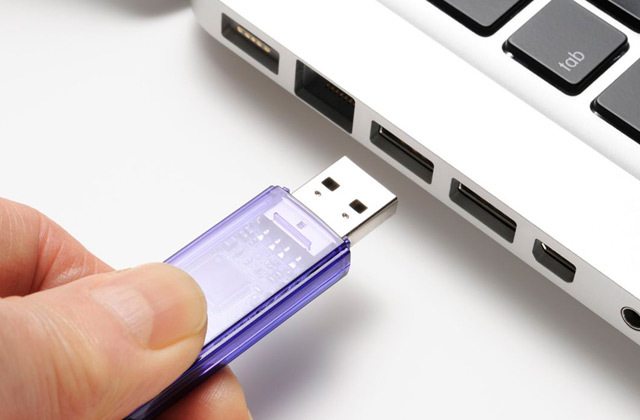 The most common way flash drives got infected with malware a decade ago was through insertion into an infected PC, and nothing has changed in that department even today. As malware can potentially steal, corrupt and delete data, never insert your USB storage in a computer that you are not sure is safe. If you don’t have a choice, or if you have already made the mistake, at least scan your flash drive before using it on your own PC. If you have accidentally deleted important data, or if any or all of it was lost during a crash, contact Secure Data Recovery as soon as possible and without delay. Being a top data retrieving service, they will likely be able to retrieve any recently lost data but be sure to not use the storage device after data loss through crashing, formatting or accidental deletion because that increases the risk of the deleted data being overwritten. This holds true for not just USB drives, but all flash storages, including micro-SD cards used in phones and cameras. Cloud storage services are not always the perfect alternative to hardware storage either because they are not 100% secure and a decent bit of cloud storage can eat away a lot of money in the long run. Nonetheless, they are definitely a more reliable solution than hardware storage devices, as long as it’s not sensitive data that you are uploading on a third-party server. Sign up with one of the many reputed cloud storage services out there and keep your data backed up automatically to never lose any of it. However, it may not be the best option for sensitive data, given that wide-scale hacker breaches are not uncommon here. As a final tip, we would recommend ejecting your device from the OS first, before manually removing the connection from the USB drive of the PC that you have connected it to. It may not seem like much, but the option is there for a reason and you will risk losing your data each time you choose to ignore that little Windows warning.